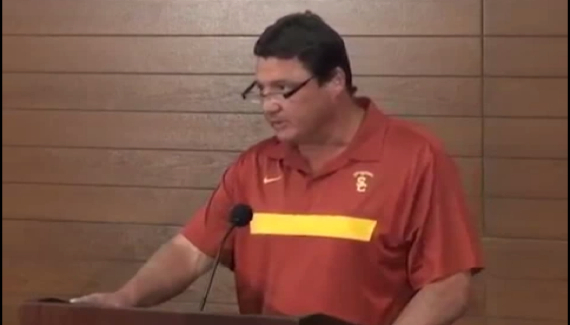 Is This Ed Orgeron or Karl Childers of Sling Blade? OK . . . maybe this isn’t noble, but we MUST have a bit of fun at USC’s expense while we can. FishDuck.com wants to have a little comedy mixed into college football, as we know how people like to have fun with us! Ed Orgeron is the superb assistant coach at USC who is serving as interim coach at Southern Cal for the rest of the season. Do let it run for twenty seconds so you can hear him, and then Karl right after that . . . amazing!